A remarkable 33 vernal pools exist on these 225 acres in Fletcher’s Landing Township. 14 of those pools are documented and significant. 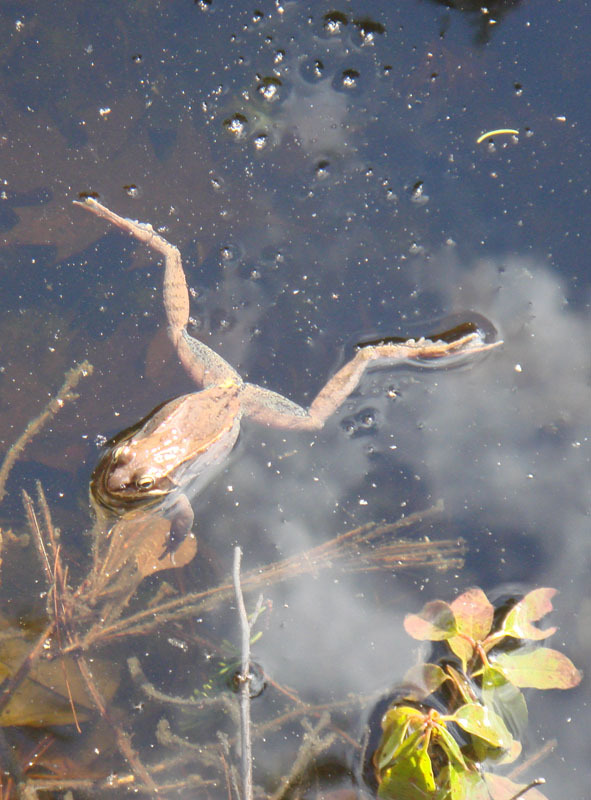 Vernal pools are very small wetlands that fill with water in the spring and dry up by the end of the summer. They provide essential habitat for several species of salamanders and frogs. 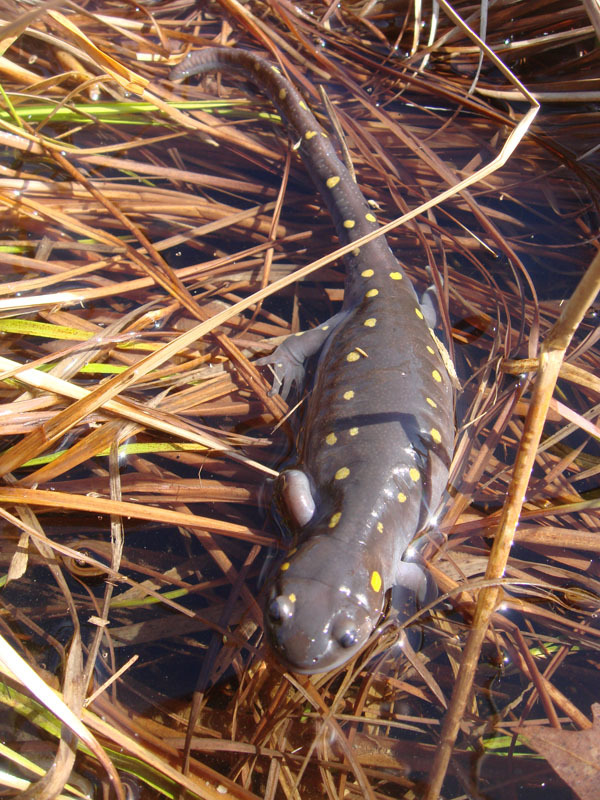 Amphibian species such as the spotted salamander and the wood frog migrate to the same pools every spring to fertilize and lay their eggs. 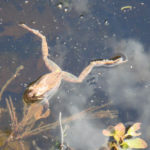 Because vernal pools dry up in the summer and do not hold predatory fish, frogs and salamanders that lay eggs in these pools have a high rate of breeding success. Wood frogs and spotted salamanders live most of their lives in the decomposing “dead and down” wood and leaf litter of the upland forest. 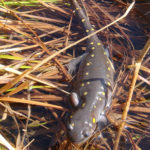 In the rainy spring, when it is time to breed, the salamanders and frogs migrate to the same vernal pools where they were born and begin the process of laying and fertilizing eggs. 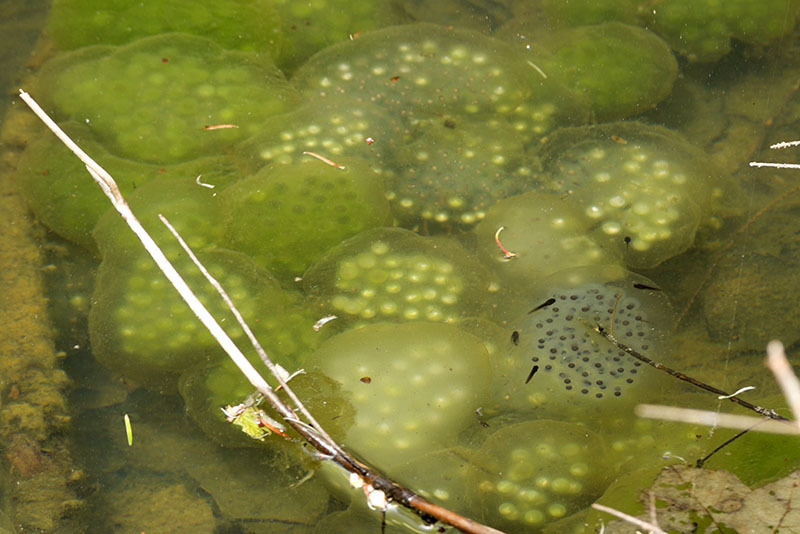 The eggs hatch into tadpoles that transform into frogs and salamanders in the pool and then, as adults, migrate hundreds of yards back into the mossy moist woods. Under logs and leaves, they are concealed from predators and can feed on the rich insect life of the forest floor. Note: due to the sensitive nature of the vernal pools, there are no trails available at this preserve.